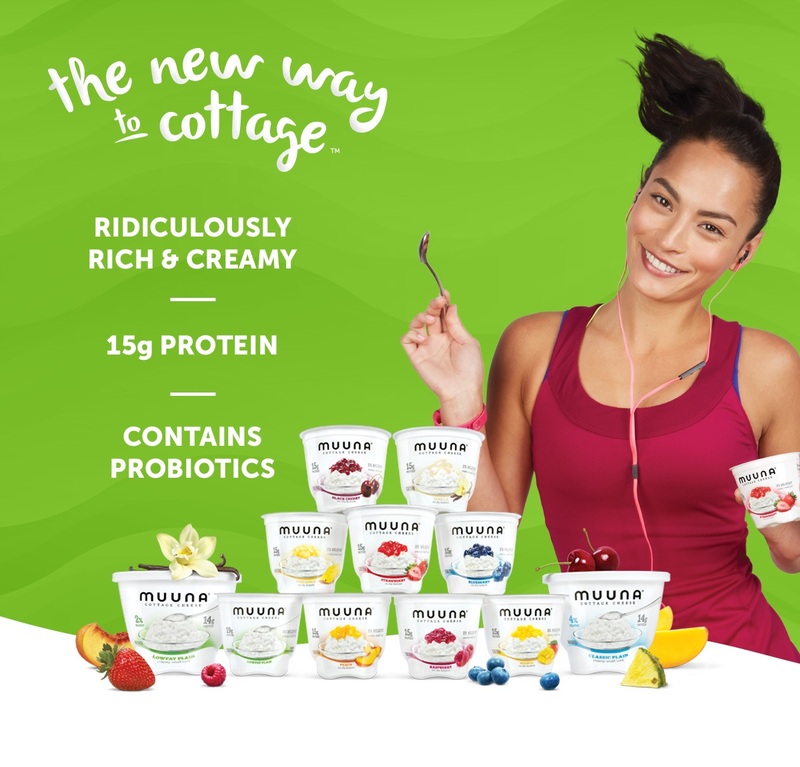 Meet Muuna Cottage Cheese: A Ridiculously Creamy, Protein-Packed Single-Serve Snack with Real Fruit! Subject: Meet Muuna Cottage Cheese: A Ridiculously Creamy, Protein-Packed Single-Serve Snack with Real Fruit! Meet Muuna, a delicious, protein-packed, reimagined cottage cheese that's disrupting the dairy aisle! Muuna cottage cheese has a uniquely, irresistibly, rich and creamy texture that has more protein than sugar and real pieces of delicious fruit. There are a variety of great tasting flavors, too. Choose from plain, blueberry, strawberry, mango, peach, pineapple, black cherry, raspberry, and vanilla. In addition to its ridiculously creamy texture, Muuna cottage cheese is also made with your nutrition in mind. Not only is Muuna high in protein with 15g in each single-serve cup, it only contains 9g of sugar, is a good source of calcium and contains potassium, vitamins A and C, and the probiotic Bifidobacterium Lactis (B. lactis) . 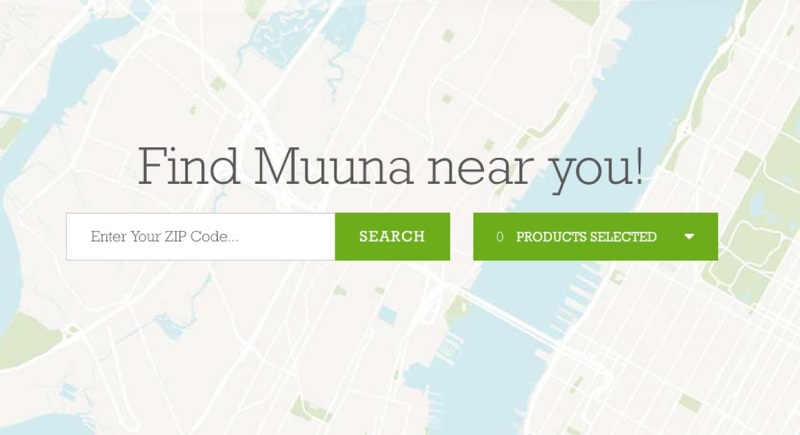 Plus, Muuna has zero artificial flavors, colors, or sweeteners and no rBST. Melt-in-your-mouth creamy Muuna is also available in single serve plain with 19g protein and no added sugar as well as in 16oz multi-serve containers of Lowfat plain and Classic plain. 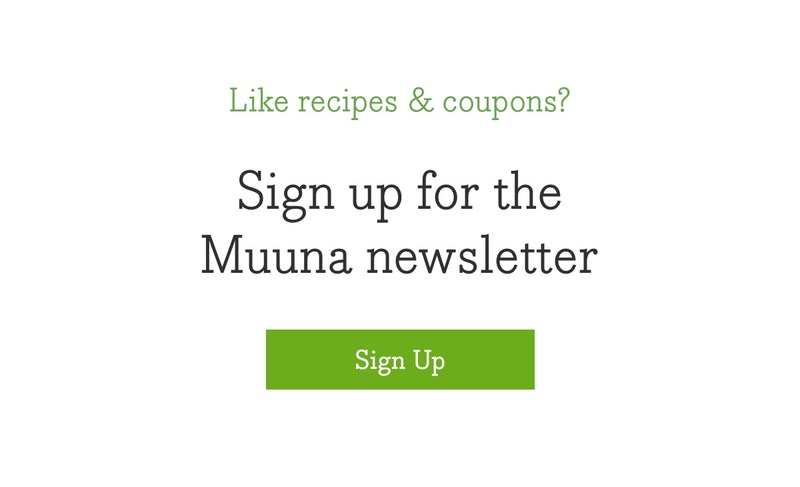 Compare Muuna to your favorite Greek yogurt or cottage cheese and you’ll see why! Melissa Rifkin, MS, RD, CDN, CSO, recommends Muuna because "Muuna cottage cheese is a source of slow-releasing casein protein, a type of protein that takes longer to break down in the body than other protein sources." That means it will help keep you feeling full for longer! Whether you need a boost of protein to survive 6 a.m. spin class, an afternoon of meetings, or your kiddo’s play date, Muuna’s got you covered. Protein-packed Muuna is a delicious go-to breakfast, lunch or snack. Try topping Pineapple Muuna cottage cheese with crispy, fresh apple chunks and toasted chopped almonds - yum! Check out our recipe page for more delicious inspiration. 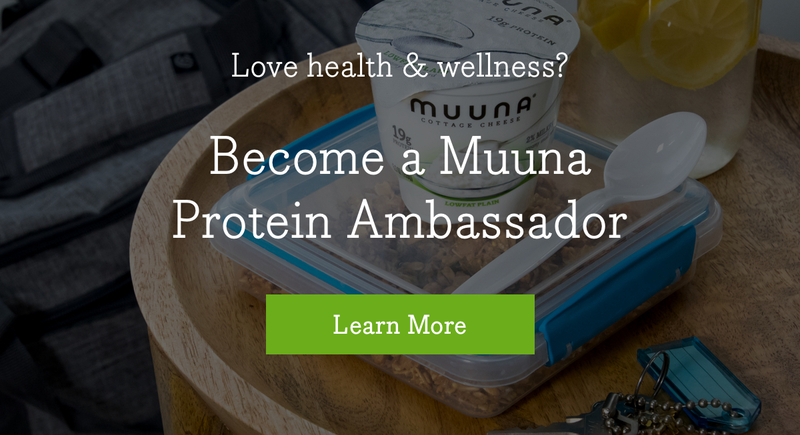 One of Muuna’s superpowers is its rich and creamy texture, packed with 14g of protein per half cup. 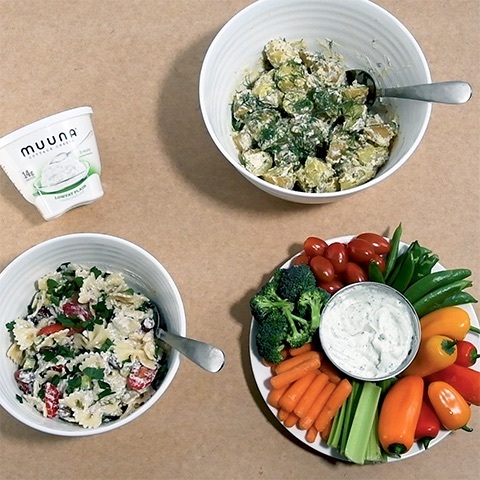 Muuna easily (and deliciously) takes the place of mayonnaise, sour cream, and Greek yogurt while adding a creamy boost of protein with less fat and fewer calories. Muuna cottage cheese has more protein and less sugar than most Greek yogurts as well as a more mild taste, so many people find it makes for a more compatible substitute in creamy recipes.